Kristina Keneally is a former premier of NSW and an ambassador for Not for Profit Opportunity International Australia, which helps provide microfinance and other support services to people living in poverty in developing countries. She is this week’s Changemaker. Keneally has an impressive resume with experience in the corporate world, the social sector and politics. She was the first female premier of her state and has since gone on to become a presenter and political commentator on Sky News Australia programs To The Point and The Cabinet. She is also the director of Gender Inclusion at the Macquarie Graduate School of Management, and serves as patron of the Stillbirth Foundation Australia, director of Souths Cares and an Opportunity International Australia Council member. According to Keneally, her determination in life is to leave the world a better place than she found it. To this end, she is a champion of Opportunity’s Women4Women movement and believes Australian women can empower women living in poverty in India by supporting them to become health leaders in their community. “I can’t imagine a more practical way to empower women’s lives than to invest in Opportunity’s Women4Women India Movement,” she said. 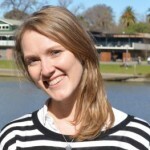 In this week’s Changemaker, she talks about the work Opportunity does as a feminist endeavour, how women are often the most disadvantaged in poor communities, yet given the chance they are single handedly transforming the lives of their families and why this is a chance for Australian women to do something extraordinary to help other women out. You have an impressive resume, including being former New South Wales premier. What made you want to get involved with the social sector? Well, I said in my inaugural speech that one of the motivating factors of my life was a determination to leave the world a better place than I found it, something that was passed onto me by my parents and instilled in me by my catholic faith. I was very inspired by the social justice teachings of the Catholic Church. And in many ways my career, up until going into politics, was all about the social service sector. I worked as a primary school teacher in a disadvantaged area of the United States, and it was essentially a volunteer job on a gap year. I worked in Australia for the Society of St Vincent de Paul, and very much for me, going into politics was a way to extend and formalise that commitment in a broader sphere. So coming to help Opportunity International was very much part of who I am and what I believe we’re here to do, which is for those to whom much is given, much is to be expected. And we’re responsible to help others, to make the world a fairer, more just place. You are an Opportunity International Australia Council member, how did you become involved with the organisation? Well I had the opportunity to hear one of their microfinance workers… who was really heading up their microfinance operations in India, and I had a chance to hear her speak in Australia and I realised how much what Opportunity does is very much a feminist endeavour, it is about helping women, who are the poorest of the poor, about 95 per cent of Opportunity’s loans go to women and the way we transform families lives and lift them out of poverty is to give these loans to the woman in the family. You know, to me it seemed like an incredibly appropriate thing that I, as the first female premier of this state, could help shift Australians’ attention, and particularly Australian women’s attention, to this amazing organisation and the work they were doing to transform women’s lives. In particular you are a champion of the Women4Women movement, why is it so important? Well, women and children do make up the bulk of the world’s poor. Women are often the most disadvantaged in poor communities, lacking access to education and to very basic safety and sanitation that most of us in the Western world simply take for granted, so things like the ability to go to the toilet safely without fear of being attacked, or having to resort to using the outdoors simply because the toilet block is either completely unsanitary or completely unsafe, or things like access to sanitary products. Many girls in India stay out of school, if they are lucky enough to go to school, they can’t go the whole month because during their periods they’re unable to access basic sanitary products. So… for me, this is about recognising that women in some of the poorest parts of the world are some of the most disadvantaged people and it is often simply because they are women. Whereas we in Australia, we are women in some of the most advantaged circumstances on earth, and there’s so much that we can do, it would cost us relatively so little and we can absolutely transform the lives of women in India. You visited India with Opportunity International, what was that experience like? India is incredibly confronting. It’s both amazingly vibrant, diverse in its range of religious groups, social economic classes, and you have some incredibly wealthy people who work in remarkably beautiful western buildings bumping up right next to massive sprawling slums of some of the world’s most poor people and India is confronting in that way. It’s also confronting in that there are just so many people who are clearly living well below the poverty line. It is also amazingly challenging because people are just so enterprising and so busy and everyone is trying to eek out a living and it said to me that this notion of the poor don’t work hard, that sometimes can take hold in the west, you really need to go to India, the poor work incredibly hard, they work incredibly hard just to try and stay alive and you see that in India. India has got such amazing potential, and it is incredibly vibrant, it is incredibly colourful, it is incredibly industrious, but it is also so challenging, particularly for a westerner who is used to some of the most basic comforts like running water in all buildings and basic sewage and rubbish collection, in so many places in India that is simply absent. Was there a particular story you came across while you were there that stayed with you? I remember meeting this woman who, she seemed quite old to me, I suspect she wasn’t as old as she looked, she was very little, but she had taken out a loan from Opportunity International and she put that into an incredibly, incredibly simple business idea. She bought eggs for two rupees each, she hardboiled them and then she sold them for five rupees each. And she had gone from living on $1.25 a day to living on $5 a day, a fact that she told me, somewhat quietly as she pulled me to the back of her closet-sized egg shop, because she didn’t want everyone to know how well she was doing. And then she told me about her plans, essentially her business plans to add teabags and lollies to her shop. And this little old lady, effectively, just this frail little old lady is what she looked like, she had singlehandedly just transformed the life of her family, her grown children, her husband, to not just eeking out a subsistence existence but actually enabling her children to start getting training and education. And you know it was such a small amount of money that she got but such an extraordinary change that it made in her life and her children’s life. Why is it important to give a hand up, through a microfinance program, rather than a hand out? It comes back to this egg shop lady, we could have given her A$60 and she probably would have eaten and lived fine for a month or so but it would have done nothing to give her an ongoing source of income. And we would have done nothing that would have transformed the lives of her children and to me that’s the most amazing thing about this. It’s women who not just start a business and keep it going, but also then enable their children whether they’re young or older, to go and free them up from labouring for basic existence, to free them up to go and seek education and training. Another woman I met who had a very similar story who was selling cosmetics, her son was now studying tourism, her daughter had started her own business selling cosmetics and it was as if three people’s lives had been changed, not just the one. What is the greatest challenge Opportunity International Australia is facing? There is such extraordinary demand, in India and in other parts of the world where we operate, and it is largely a female face of poverty. So it’s often hard to reach out, find these women and begin this process. But once we do, if they are in a particular slum or community, there is such extraordinary interest that for us, it is about having the capacity to meet that demand. These are good problems to have in terms of people want the assistance we can provide and the assistance we are providing is useful, but there is just extraordinary need and this is such a sustainable program in terms of its ability to take people out of poverty that I feel very optimistic about our future. And I can say here, this is what I love about the Women4Women program, we have never really directly tapped into Australian women as a group to say, it’s now time for us, some of the most fortunate women on the planet to do what we can to help women who are amongst the most poor, the least fortunate. And I feel very fortunate to be an Australian woman, I am in a country that is relatively very safe, where I am able to be educated to work in whatever profession I please and indeed to become the premier of my state. For women in India there are so many other challenges, and for me I love the Women4Women program, because it is about saying there is something I can do. Can I point out men have been doing this for forever, men pull other men along with them, whether it’s in an old boys network or in communities or in pubs, or however men network, they’ve been using their resources to help each other out, this is a chance for women, for Australian women, to do something extraordinary to help other women out. People who face really difficult circumstances and yet still make good decisions. So women I’ve met in India who live in these incredibly awful slums who still make decisions as best they can to do the best they can for themselves and their children. You know in other capacities I work with the Stillbirth Foundation, and mothers and fathers who have lost a baby in what is one of the most tragic ways and yet they make a decision to speak out about that publicly, to honour that child’s life and to push for more money into research. People who have courage to make good decisions when life throws really difficult things at them. I’m reading the biography of Anthony Albanese, who is a friend of mine, his wife was my deputy premier. Some of it I know, in his story, and some of it I’m learning fresh, so I’m really enjoying it. I do. I have a few, but one I had on the wall of my office when I was premier, still retained as a favourite today, is actually from Karl Marx and it’s that “people make their own history but not in conditions of their own choosing”. It goes back to the people who inspire me, it reminds me that we are all part of huge sweeps of history, of human history, and we can’t control everything that happens, but we’re not bound by history and we don’t have to repeat the mistakes of the past, and we can create our own future, but we have to be cognisant that we are who we are, where we stand and make the best decisions we can in the circumstances we find ourselves.